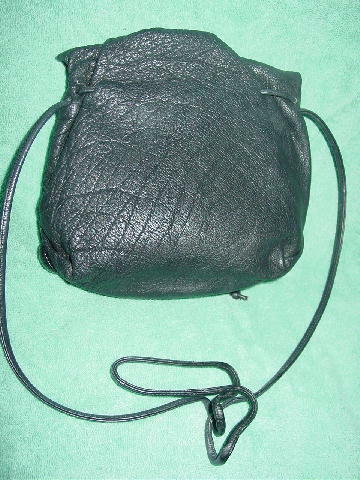 This black leather vintage purse is by Carlos Falchi. 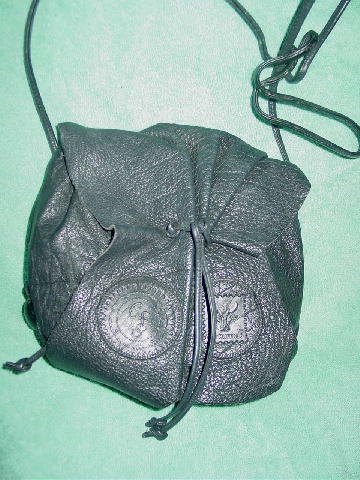 It has a foldover large flap closure with two round leather patches. 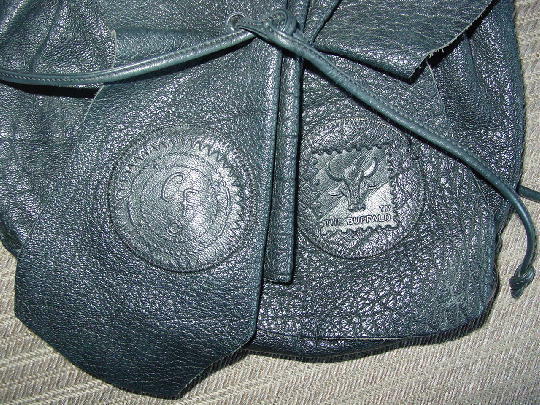 One is a logo CF patch and the other is The Buffalo. The front also has two decorative straps which are tieable. 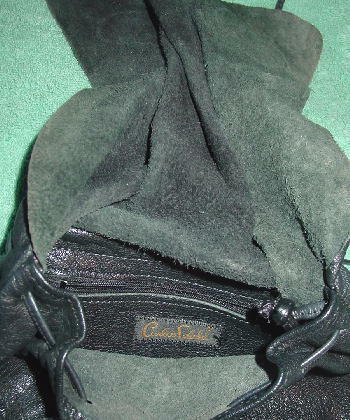 The lower front also has two decorative straps dangling from the top. 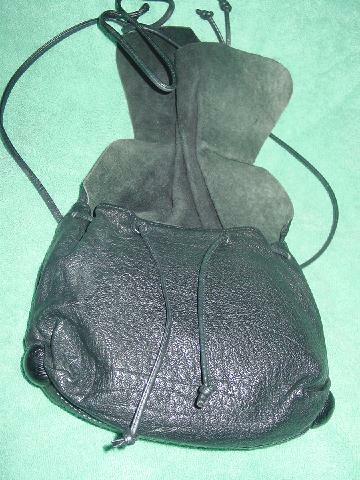 The interior is unlined, and it has a zippered pocket which has finshed leather on its exterior. It has a 48" long by 1/4" wide shoulder strap. The bottom corners have two black round button feet.